Rudy pets his new assistant, a giant rabbit named 'Harvey'. 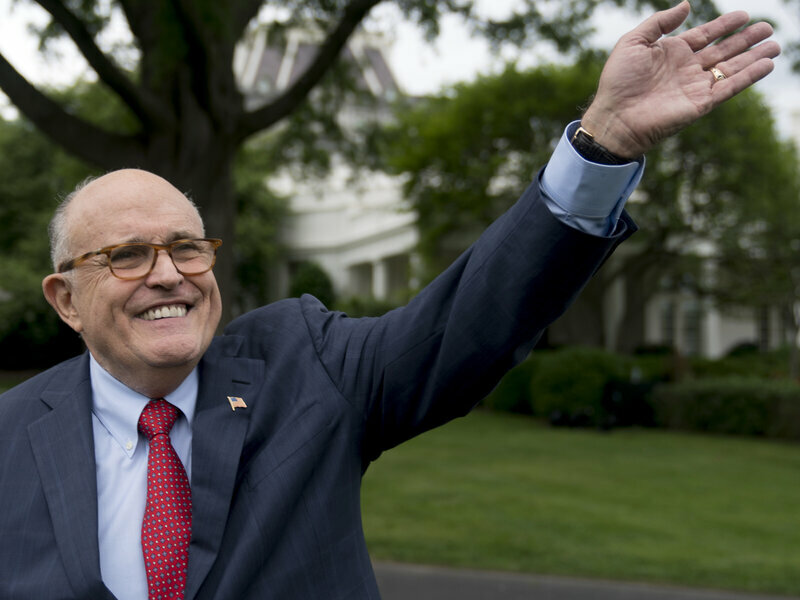 The counteroffer submitted by President Trump to Justice Department special counsel Robert Mueller may be the "last, best chance" Mueller has to secure Trump's testimony, lawyer Rudy Giuliani told NPR on Wednesday. That doesn't mean it's the White House's final offer or negotiations are closed, Giuliani said — but "if they said yes, we'd do it." The back-and-forth has been going on for months. Trump has talked publicly about wanting to answer questions. But his lawyers would rather he not — and at the very least, they would like to limit the scope of what he is asked. "I don't think he'd do it over our disagreement, but I don't know," Giuliani said. Giuliani said he believes Mueller's office is sensitive about the precedent of 2016 in which then-FBI Director James Comey, whom Trump has since fired, was seen as improperly influencing the election because of the way the FBI conducted its big investigations. "I think he realizes that he'll run into a Comey-like criticism if he lets it stretch beyond September," Giuliani said of Mueller now. Edited 1 time(s). Last edit at 08/08/2018 03:33PM by Steve G.. Team Trumpo will keep stalling as long as they can. Seems to me that a couple of presidencies ago, the Supreme Court said that POTUSs can't avoid testifying just because they're the president. Would that Giuliani was 1/2 as kindhearted and thoughful as Elwood P. Dowd. Rudely makes up for it by being twice as crazy.